Good morning, let's dive in. I have an exclusive look into the latest positioning around the recently expanded tax credit for carbon capture projects. I'll share that, and then Ben will get you up to speed on the rest of the news. 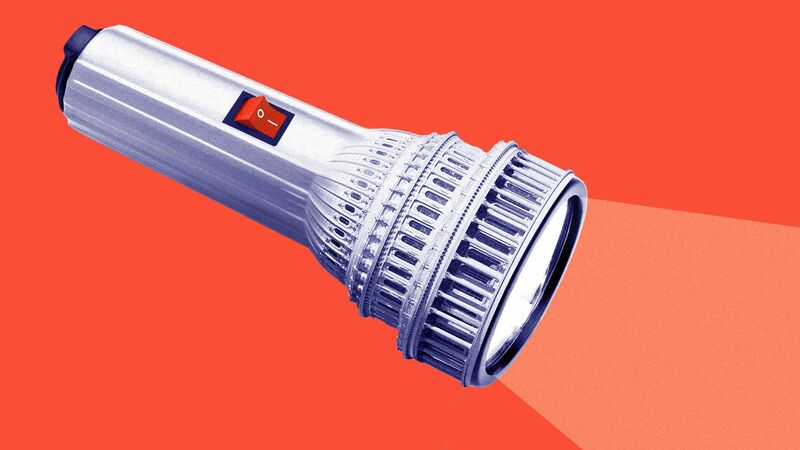 Some of America’s biggest energy companies are lobbying Washington to change — critics say weaken — oversight of a federal tax credit going to facilities capturing carbon emissions. Why it matters: The scramble shows the challenge of tackling climate change piecemeal through the nation’s tax laws in the absence of overarching policy. Context: The technology at issue is considered essential to achieving the greenhouse gas emission cuts scientists have recommended, and the oil industry’s use of it could help spur its widespread adoption. But divisions and uncertainty are emerging after Congress expanded the tax credit earlier this year, which is aimed largely at companies that use captured carbon to extract oil. Driving the news: A new industry coalition is pushing legislation allowing companies to receive the tax credit without submitting a monitoring plan to the Environmental Protection Agency, which would ensure the captured carbon stays underground after extracting oil. The coalition, called the Energy Advance Center, is also urging EPA to change its rules on the tax credit. The thaw: ICYMI over the weekend, the U.S. and China announced a truce — for now — in their trade war, and energy is part of the deal. "Both sides agreed on meaningful increases in United States agriculture and energy exports. The United States will send a team to China to work out the details," the countries said in a wider joint statement. Yes, but: The declaration was largely devoid of details. Why it matters: China's energy thirst is massive. It's now the world's largest oil importer and second largest LNG importer, and also buys coal from abroad despite being the world's largest producer. What's next, per Axios' Jonathan Swan: More talks. And miles of uncertainty between the two countries — with the added complication of the North Korea negotiations. Because it's President Trump, nothing can be guaranteed. "From the U.S. perspective, selling natural resources is less desirable than selling manufactured products. But by doing so, Trump could credibly claim to cut the bilateral trade deficit by more than half. Moreover, these contracts would allow American companies to secure loans to build oil and gas infrastructure whose construction would employ tens of thousands of American workers." Allison, who's the former director of Harvard Kennedy School’s Belfer Center for Science and International Affairs, looks in particular at the potential for the major LNG export project in Alaska that has been under discussion for months. Go deeper: Bloomberg has a piece on how commodities now seem to be a major beneficiary of China's pledge. The city of the future: 80% of worldwide city buses will be electric by 2040, according to a just-released report by the consultancy Bloomberg New Energy Finance. 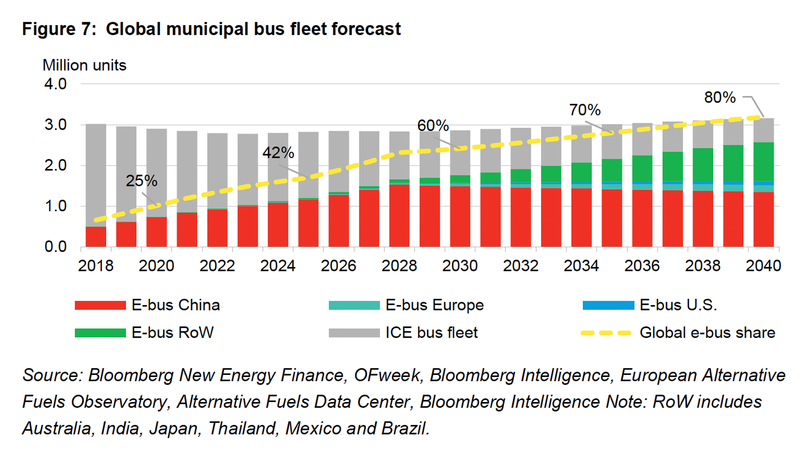 Why it matters: It's BNEF's first long-term forecast of electrification of city bus fleets. China dominates the market right now and accounting for 99% of the market last year, according to BNEF. But check out the chart above — EV bus adoption is expected to accelerate significantly in Europe and elsewhere by 2040. Supply chain risk: Tight supplies of cobalt, a key battery material, is a risk to EV sales over the next 5–7 years. Iran: This morning Secretary of State Mike Pompeo will deliver remarks on what's next for U.S. policy toward Iran, now that the White House has walked away from the nuclear deal and triggered reimposition of energy sanctions. Jonathan sets the table here. Venezuela: Per Reuters, U.S. deputy secretary of State John Sullivan told reporters in Argentina yesterday that oil-related sanctions against Venezuela are under "active review" due to the re-election of Nicolas Maduro — a result the U.S. does not recognize. Yes, but: Via the Financial Times, "Analysts say Washington is unlikely to choose 'the nuclear option' of imposing a full embargo on Venezuelan oil exports, not least because the Opec nation’s output is falling so quickly that it is becoming less and less relevant as a supplier." Climate change: It will be a hot topic at Royal Dutch Shell's annual shareholder meeting tomorrow, where the company is opposing a resolution that calls for more aggressive steps to align its business with the goal limiting the global temperature rise well below 2°C. Go deeper: The Guardian has a preview here. On Tuesday, the House Appropriations Committee will mark up a fiscal year 2019 spending bill for EPA and the Interior Department. Tuesday also brings a Senate Appropriations subcommittee markup of Energy Department spending legislation, while the full committee will tackle the bill on Thursday. A House Foreign Affairs subcommittee session on the "geopolitics of U.S. oil and gas competitiveness." Stress test: The electricity grid that serves most of Texas, known as ERCOT, operates on a relatively rare energy-only electricity market. An energy-only market pays power plants only for producing electricity, while other markets provide "capacity payments" to generators to be available even when not producing power. "Texas built this lean market to keep down costs, but this summer could pose a threat to its survival," Rhodes writes. Citing low market prices, multiple coal plants in Texas have retired in recent months. Low wholesale prices have generally been good for consumers, as they have led to lower retail rates. But this reduction in supply means that reserves (power plants able to come online if demand exceeds predictions) will be low this summer, potentially leading to price spikes and blackouts. Yes, but: There are indications that the market can still ensure adequate capacity. Go deeper: Read the rest of the piece by Rhodes, who is a research associate in the Webber Energy Group and the Energy Institute at the University of Texas at Austin.